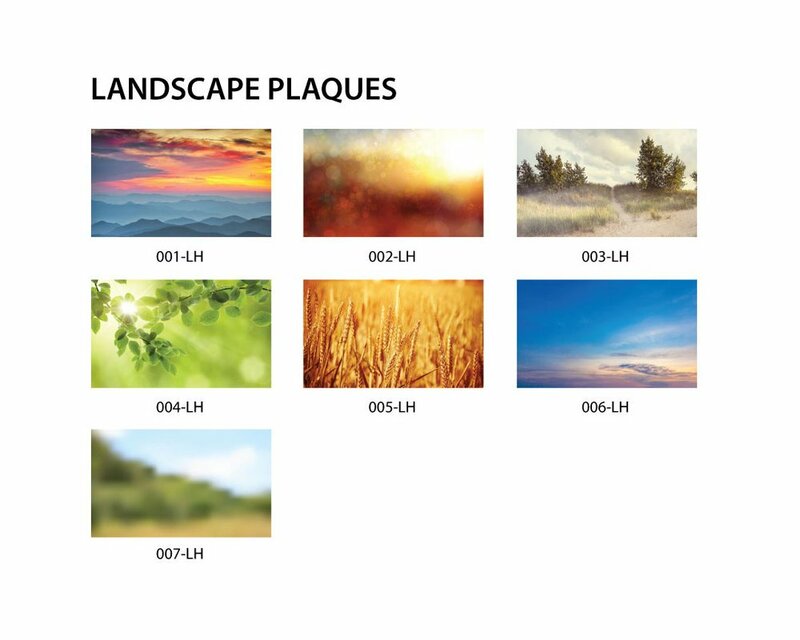 This plaque combines two 1/4″ thick pieces of acrylic. 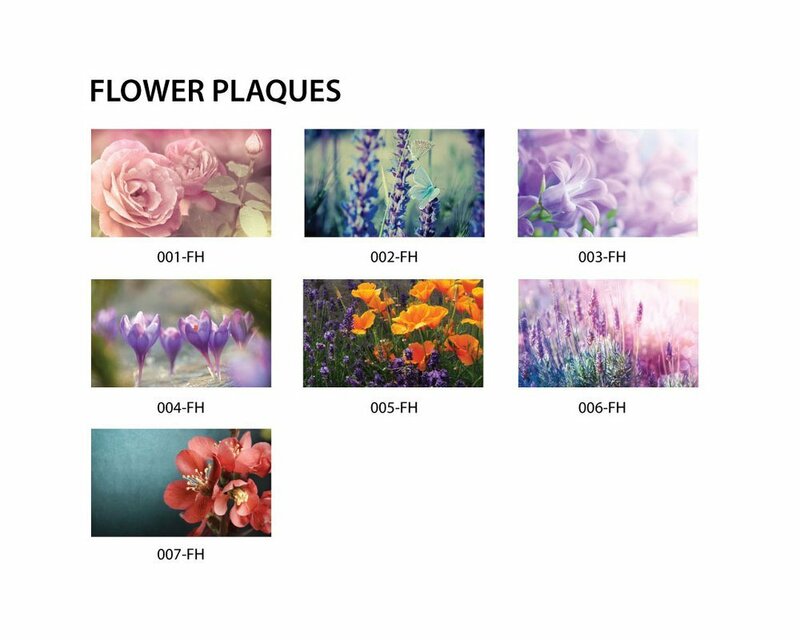 The first piece include the image of your choice UV printed (print dries in ultra violet light)giving it a more vibrant color, on the back side of the acrylic so it is durable. The top piece of acrylic has your custom text UV printed. 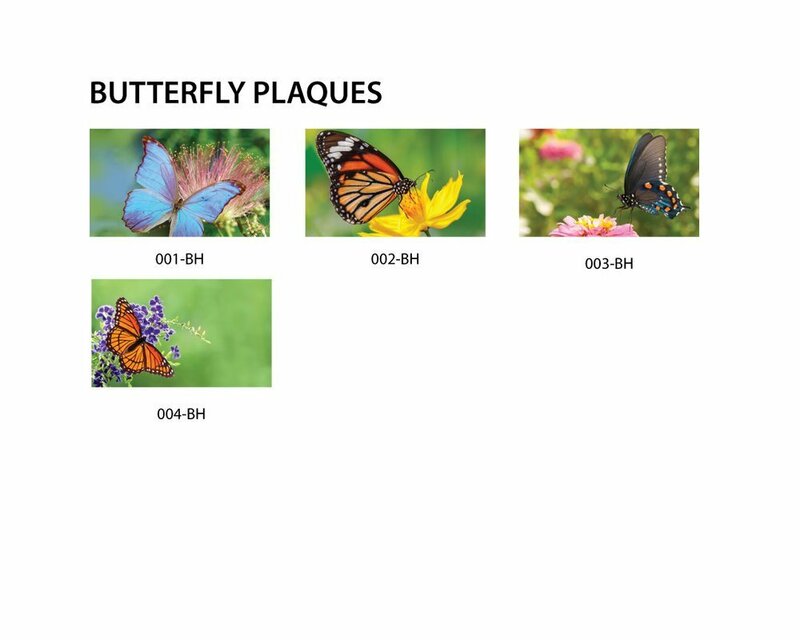 This plaque includes two anodized aluminum stand-offs that holds the plaque 1/2″ off the wall. 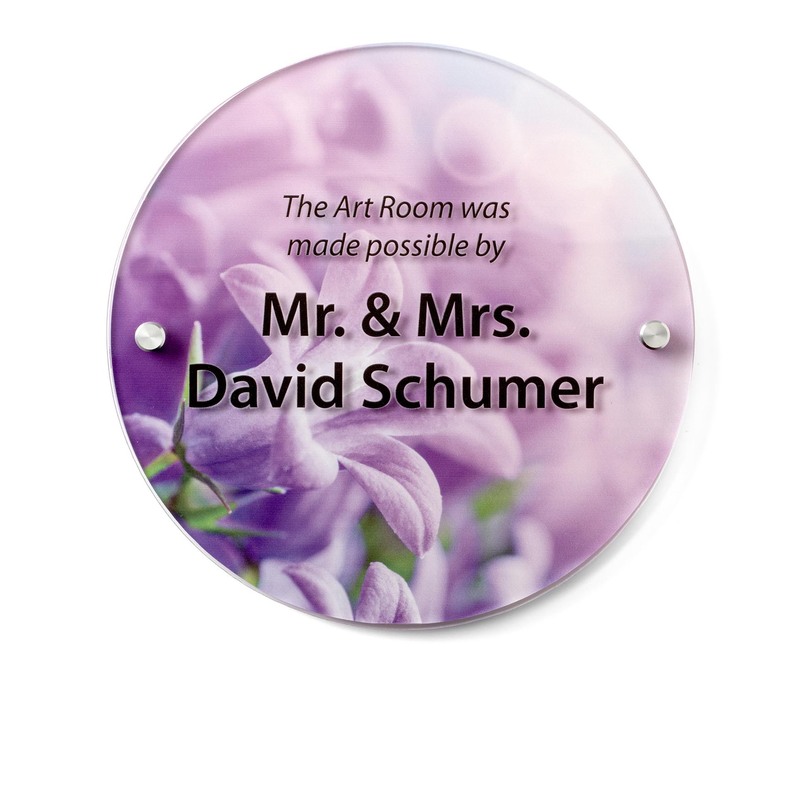 This is the perfect in memory of plaque or donor plaque to represent the person of honor. Production of this plaque will take 2-4 weeks. If you are on a timeline let us know; we will work with your timeline and get your plaque finished for your event! 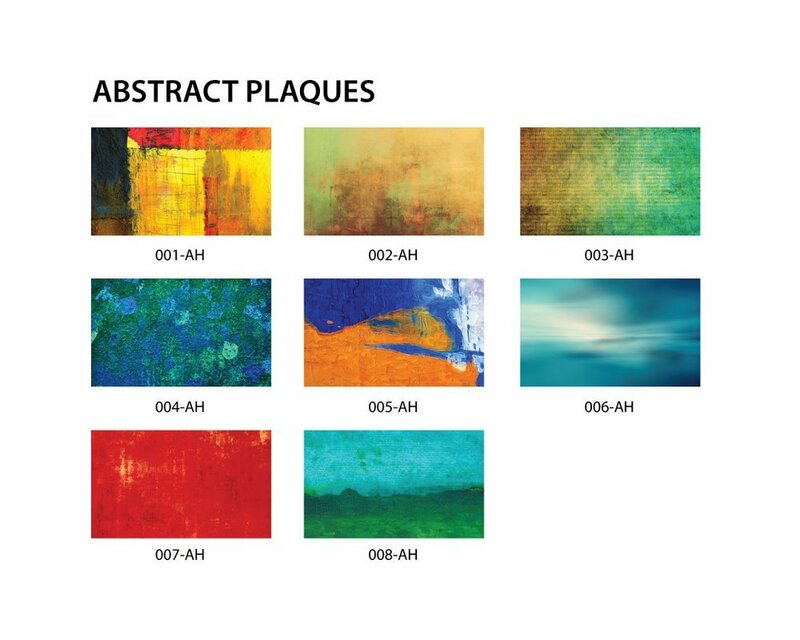 Bold and colorful, Art Impresa plaques brings attention to your donor program or memorial like no other recognition can. 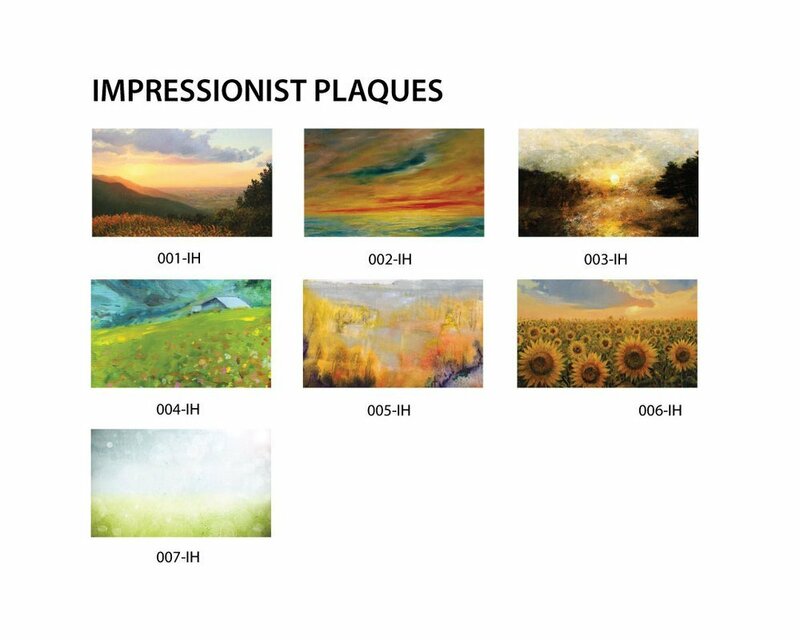 Fill out the form below to see what your Arte Impresa Plaque will look like; Please specify if you have desired font, logos, or color preferences.